The Husky 13-Piece Long-Arm Metric Hex Set features alloy steel construction for strength and long-lasting performance. These keys resist rotational distortion. The finish provides resistance to corrosion. 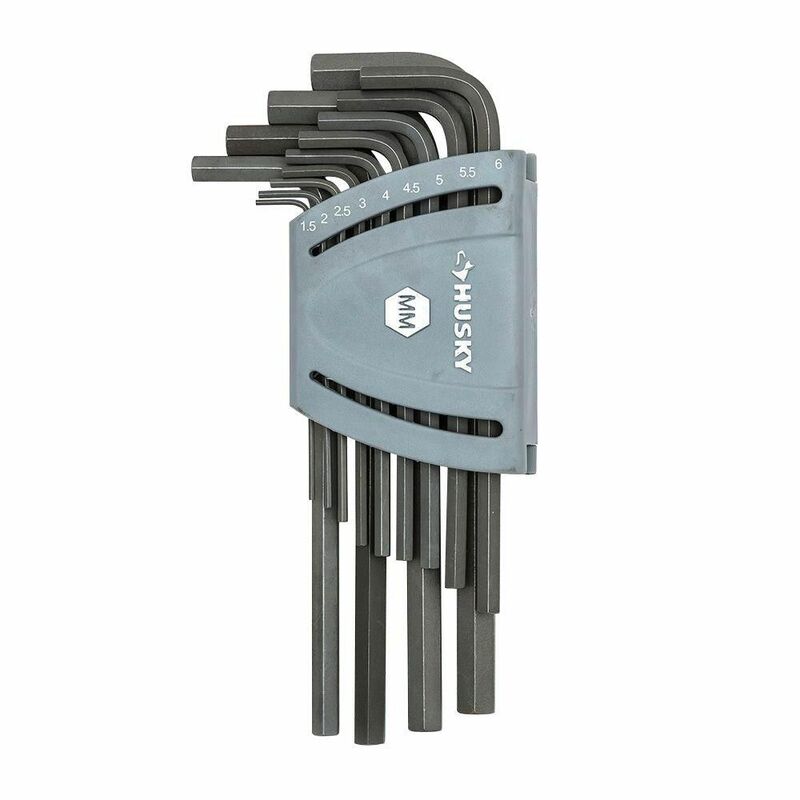 Metric Long-Arm Hex Key Set (13-Piece) The Husky 13-Piece Long-Arm Metric Hex Set features alloy steel construction for strength and long-lasting performance. These keys resist rotational distortion. The finish provides resistance to corrosion.